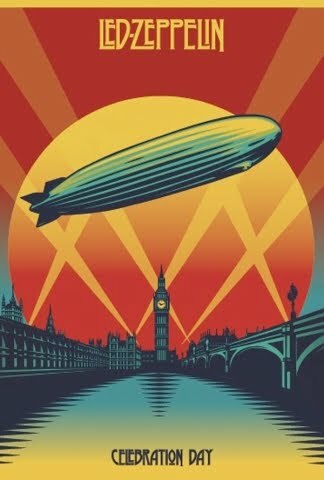 The first video footage from Led Zeppelin’s New York press conference for their forthcoming concert film, “Celebration Day,” has surfaced. Band members John Paul Jones, Robert Plant, Jimmy Page and Jason Bonham were on hand Tuesday afternoon at the Museum Of Modern Art to field questions from the media prior to the premiere screening at the historic Ziegfeld Theater in New York’s theater district. The footage shows Zeppelin answering a question about creating the setlist for the December 2007 show at London’s 02 Arena.